The best solution for noise and accompanied effects is acoustic insulation. You might have witnessed professionals thoroughly working on commercial buildings just to keep away some sound for the efficiency of occupants during work. You can always make use of acoustic cork insulation for one apartment to the next, one floor to another or from a hotel room to the other. Most basements have totally different activity from that of the main building. As people prefer to have car parking and garages on the basements cars could get noisy and interrupt people’s activities. Alternatively some people have noisy washing machines on the basements. Therefore, the best basement flooring is that which accounts for the sound. Whatever happens in the basement does not need to be an interruption for the other parts of the building. Vibrations and noises that come from beneath can be irritating and annoying as well. The passage of sound through floors and walls is called flank transmission and identifying the sound source to avert it through cork flooring is good for the building. Acoustic insulation works best for both new and old buildings. If you have had to cope with so much noise in an old building you can still trace the sound path and control the sound. Refurbishments get the best of the insulation especially because it is not so easy to alter the structure of the building for the purposes of having minimal flanking transmission. It is also important to note that all rooms and floors have different insulation needs. Staircases cannot have the same insulation as living rooms. Intensity of the insulation will largely depend on level of transmission of sound and intensity of vibrations as well. With the intense boom in the real estate sector governments are coming up with legislation and ways to ensure that buildings are of good standards. 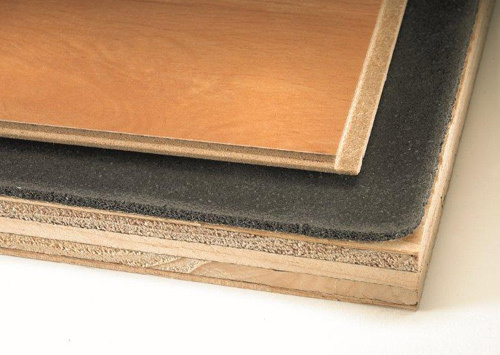 In UK for example cork flooring for acoustic insulation is necessary. The government has also permitted some level of noise for different buildings and has regulations on safety issues. Rules regarding the best basement flooring have also been effected in various countries as well. Basements need strong, firm and well fitted flooring as they might have to sustain heavy weights. The regulations also consider refurbishments and new buildings. You will definitely need different insulation mechanisms for both new and refurbished buildings.